I'm in love with these rooms. Each space is one that I'd feel right at home in... here's to hoping someday I'll have a place that's similar! This Domino room is a classic, one that I've been dreaming of for a while. 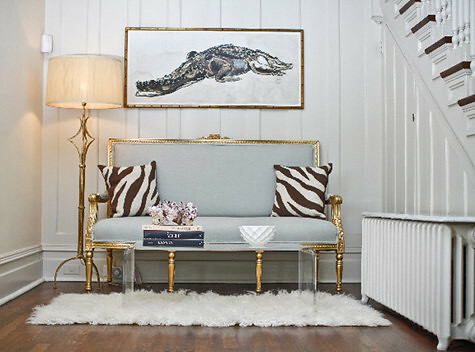 This space from Annie Corley is calling my name. That gilded sette? Yes, please! 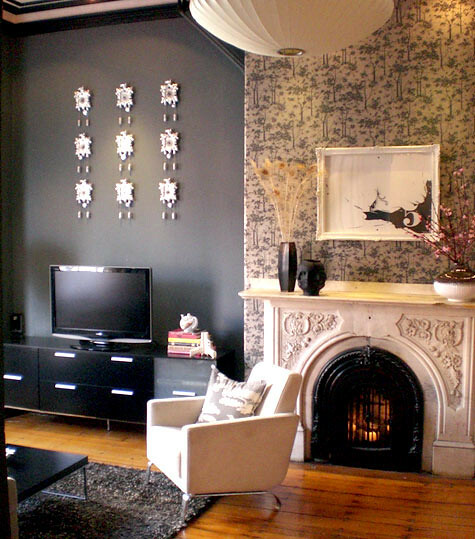 Brad Duffton's fireplace is the crowning glory of this cozy space. 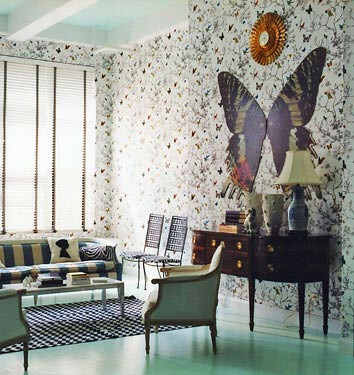 Butterflies galore in another Domino gem, via style carrot. I also admired that sneak peak from D*S!